Around the dawn of the 21st century, David Duval was one of the best golfers on the planet. He spent time with the No. 1 ranking. Just a couple short years later, his game deserted him. 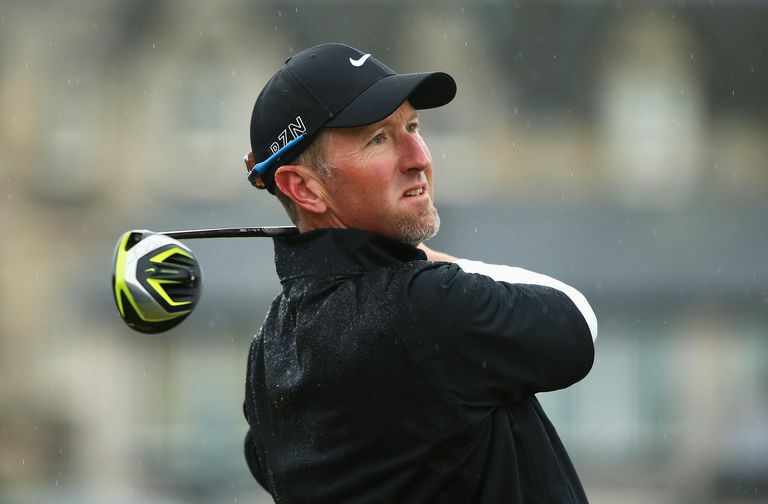 David Duval: "I don't derive satisfaction from trying to satisfy other people's expectations. I am not out to prove anything to you or to anybody else. I am out to prove it to me." David Duval's father, Bob, played on the Champions Tour for a while. In 1999, David and Bob won tour events on the same day, March 28. Bob won the Champions Tour Emerald Coast Classic while David was winning The Players Championship. David Duval was one of the best players in the world - No. 1, in fact, in the official World Golf Rankings for a time in 1999 - and then his game disappeared. Like Ralph Guldahl and Ian Baker-Finch before him, Duval simply lost the ability to play at the highest level. Faltering confidence had something to do with it, but it was more about nagging injuries that caused changes in his swing. However, Duval began teasing fans with sigsn of recovery in the 2006, and later had a couple runner-up finishes. Duval grew up the son of a golf pro, Bob Duval (who himself was a winner on the Champions Tour). Duval had a sterling junior golf career and played collegiately at Georgia Tech. While at Georgia Tech, Duval was named first-team All-American four times, and twice was named ACC Player of the Year. He turned pro in 1993 and spent a couple seasons on the Nationwide Tour before earning his PGA Tour card in 1995. Duval had almost immediate success; although he didn't post his first victory for a while, he qualified for the 1996 Presidents Cup team and posted a 4-0 record. Duval's breakout season was 1998, when he won four times, led the tour in money and scoring. From 1997 through 2001, Duval won 13 times, including one major (the 2001 British Open), while spending some time ranked No. 1 in the world. In 1999, he turned in one of the best rounds in golf history, shooting 59 in the final round of the 1999 Bob Hope Chrysler Classic to come from behind and win the tournament. But he slipped to 80th on the money list in 2002, 211th in 2003, and by late 2003 had dropped off the PGA Tour. He stayed away for eight months, not returning until the 2004 U.S. Open. There was much speculation about the source of Duval's problems, which led to many rounds in the 80s. Duval maintained the causes were physical - making adjustments to deal with back pain, he'd messed up his swing - and mental - he'd lost confidence as his results soured. But Duval still managed to pop into contention (but rarely): He finished second at the 2009 U.S. Open, and second at the 2010 AT&T Pebble Beach National Pro-Am. At the end of 2010, Duval had earned enough money to keep his tour card without having to invoke any exemptions or go through Q-School. Duval continued fighting for consistency and for his first victory since 2001. However, those signs of recovery in 2009-10 didn't actually lead to one. By 2014, Duval had lost his status as a PGA Tour member.